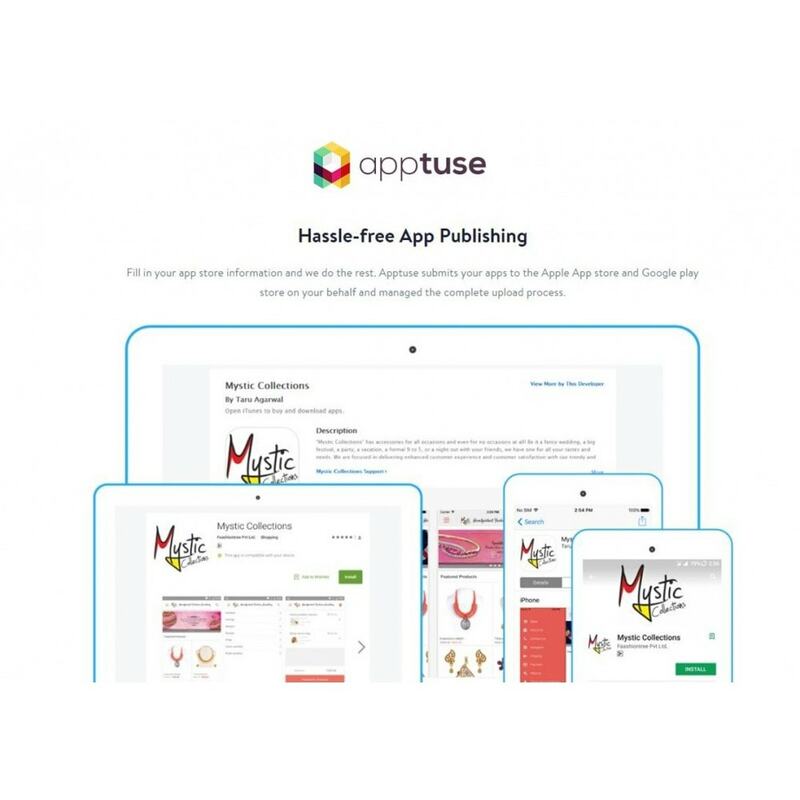 Apptuse is a mobile platform that powers individuals & global brands to make native shopping apps. Have your app ready in a few hours with no technical knowledge required. Increase Customer Engagement - Push notifications are 6 times more effective as compared to emails. Send behaviour based notifications to your customers to remind them, keep them informed and even upsell to them. Build Customer Loyalty - Apptuse’s plugins enable you to build and maintain lasting relationships with your customers. Analyse and take action - Apptuse has an analytics dashboard to track and analyse your apps usage data. Use powerful behavioural analytics with the in-built Clevertap integration. More Than 15,000 Merchants Trust Apptuse - We optimize your app for a stunning increase in conversion rate, while you can still customise the app to suit your needs. Thousands of PrestaShop merchants just like you trust us with their mobile commerce. Design your app - You don't need any technical skills to design like a pro in Apptuse. Choose from endless layouts of sliding menus, icons, tabs and many more. Easily add content to your app - Choose from over 40+ plugins and make your app interesting. Auto sync content from your PrestaShop powered store and connect with your customers by letting them browse, create wishlists and shop. Hassle-free App Publishing - Fill in your app store information and we do the rest. Apptuse submits your apps to the Apple App store and Google play store on your behalf and managed the complete upload process. Multilingual - Apptuse supports 18 international languages and 13 Indian languages out-of-the-box. Secure - Your app is protected with multiple layers of security to prevent unauthorised access. No additional configuration required - Works with your existing website site & payment gateway. No special configuration required! No coding required - You don’t need any technical expertise to create your store, all you need is your store name and basic details and we will generate the app for you in 24 hours! Cross platform - Get the mobile app for Android and iOS to reach out to more customers. Fast, intuitive and native - An app that works seamlessly on any platform or device and is truly native and fast. Analytics - Get valuable insights for your Mobile app by integrating Google or CleverTap analytics for your mobile app and measure what matters! 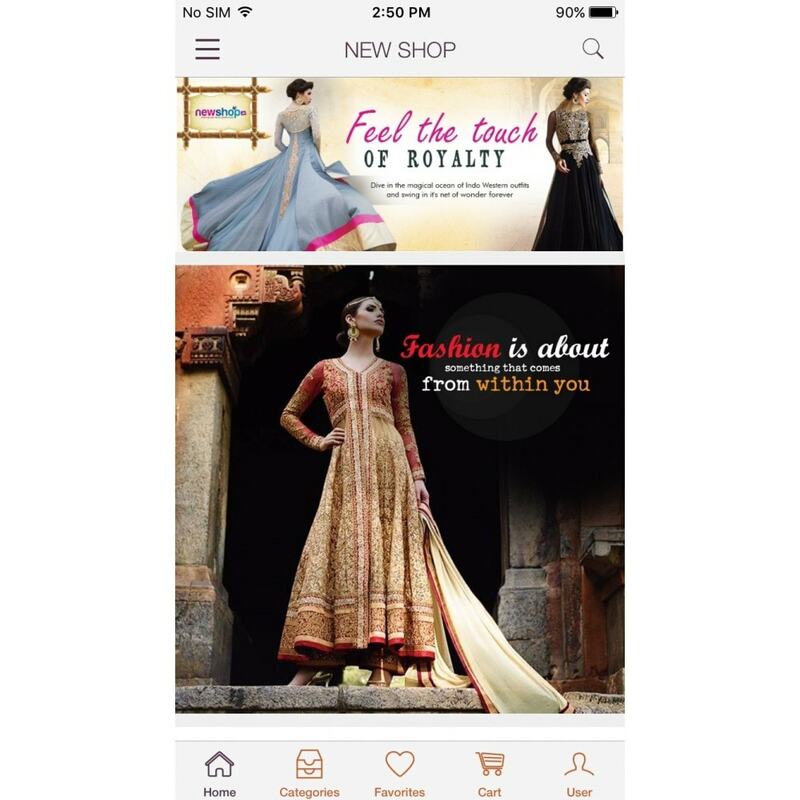 Mobile Search & Sort - If your app visitor wishes to shop a particular product from your mobile store they can simply explore the power of search within your store app and get the desired product in their cart. Empower your users to get the most out of your store with the search and sort feature! Social connect - Visitors on your app can directly call, email or drop a message to store merchants on social platforms regarding store or product related queries. Social Sharing - Enable your users to leverage this powerful option and by allowing them to quickly and effectively promote products in their circles. With this feature social visibility is maximum which help you get on the radar of customers and other viewers. Favorites - Let your customers select and shortlist their favorite products among all the products on your store with the Favorites option! Pay as you go - Economical pricing plans with Zero setup fee. 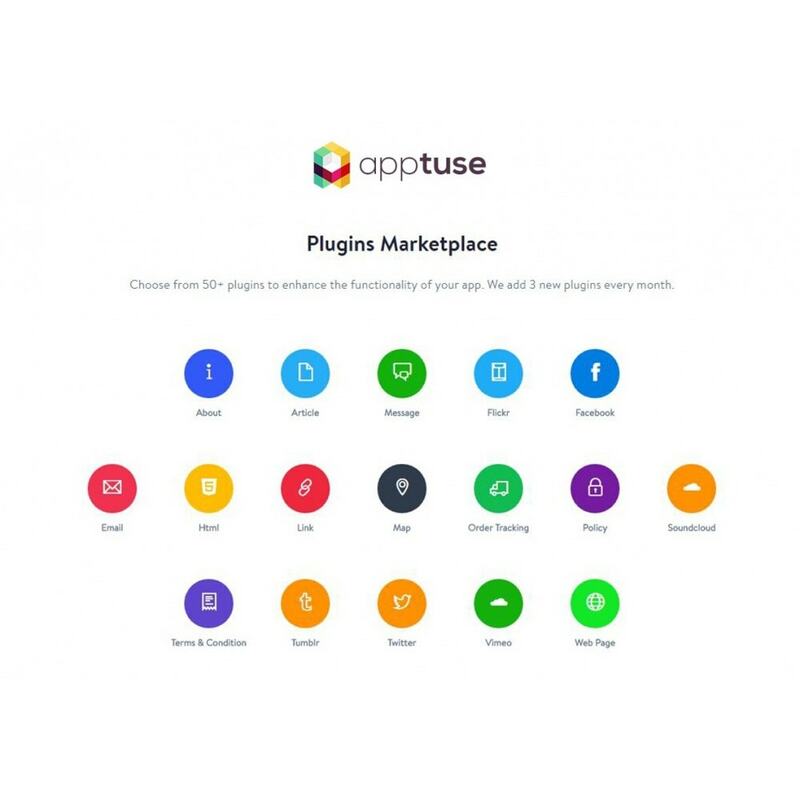 Download and install Apptuse addon from Prestashop marketplace. Once Apptuse addon is installed successfully, you will be redirected to Configuration page. Your email address to integrate with Apptuse and create mobile apps for your store. Creating webservice keys and permissions to fetch inventory data and show it in the app. Kindly allow the permissions required to create mobile app for your Prestashop store. Select “Yes” and click submit button to save your configuration. Now, you have successfully configured Apptuse addon. Click on “Apptuse Dashboard” link on left side menu to visit Apptuse dashboard. Here you can preview and manage your mobile app. Once you are ready to make your app live, publish your app on Google play Store and Apple App store.